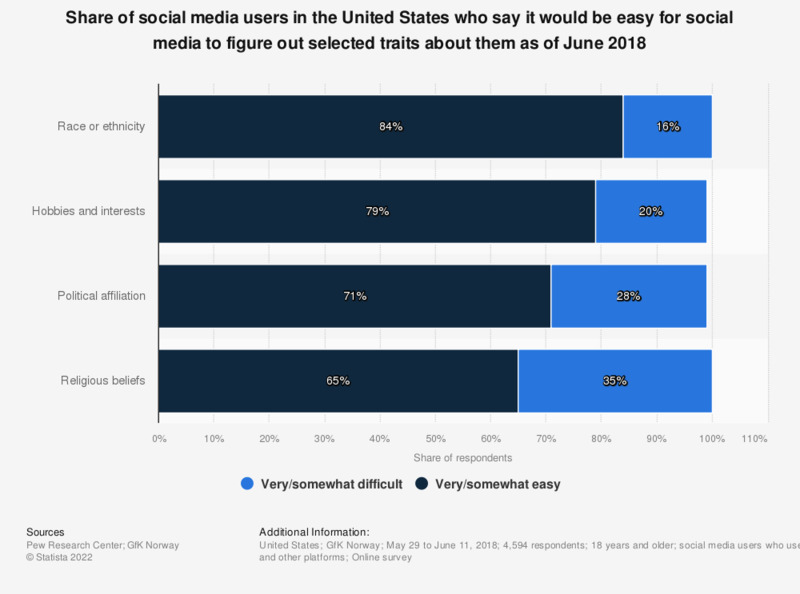 This statistic presents the share of social media users in the United States who say it would be easy for social media to figure out selected traits about them as of June 2018. According to the findings, 84 percent of respondents believed that social media networks that is was very or somewhat easy to find out their race or ethnicity. Figures may not add up to 100 percent due to the respondents who did not give an answer are not shown.